ANAHEIM, Calif. – The results in the first half of back-to-backs this season have been mixed for the Wild, but the team has been a perfect 3-0 in the second test of the set – a trend it’ll look to continue Friday against the Ducks in Anaheim. Stalock has been in net for two of the Wild’s wins in the second half of back-to-backs, and he’ll be back between the pipes Friday – the only lineup change for the Wild after it upended the Kings 3-1 Thursday in Los Angeles; he helped the team to a 5-4 overtime win over the Lightning Oct.20. 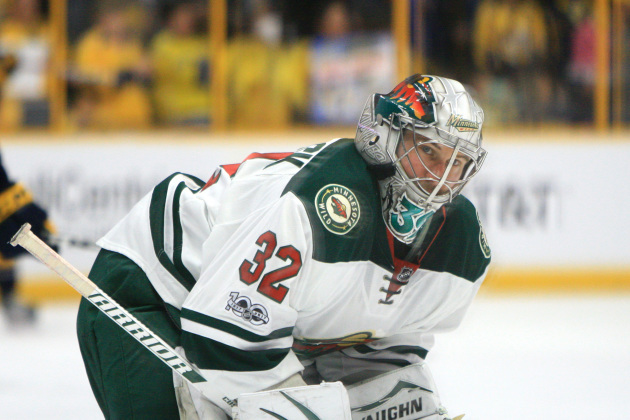 Most recently, Stalock and the Wild held off the Oilers 4-3 in Edmonton Oct.30. Another triumph against the Ducks wouldn’t just keep that streak alive; it’d also guarantee a winning record on this franchise-record seven consecutive road games since the Wild is currently 3-2. The trip wraps up Sunday in St. Louis with a matinee against the Blues. 100: Career games for center Joel Eriksson Ek. 28: Points for captain Mikko Koivu in 42 career games against the Ducks. 197: Career assists for winger Mikael Granlund. 7: Power-play goals in 23 chances for the Wild since Oct.27. 7-3-1: The Wild’s record when the opposition scores first. Anaheim has cooled off after a strong start in which it won five of its first seven games. One the heels of that run, the team dropped six a row but it’s won twice in its past three games. The Ducks are still without winger Corey Perry, who’s recovering from knee surgery. Winger Rickard Rakell has a team-high 12 points. Goalie John Gibson has been steady, posting a .933 save percentage.